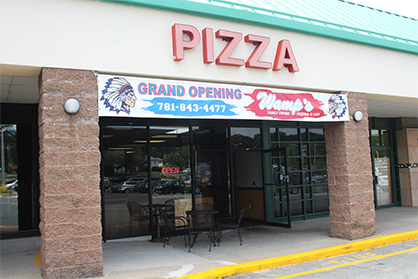 Visit Wamp’s Pizzeria and Café today for fresh, delicious food and great service. We serve the best pizza around and have plenty of other items to choose from on our extensive menu. Add a soup, salad or dessert and your meal will be complete! Dine in or call for takeout or delivery. We will be closed Monday August 20th through Saturday August 25th. We are sorry for any inconvenience.